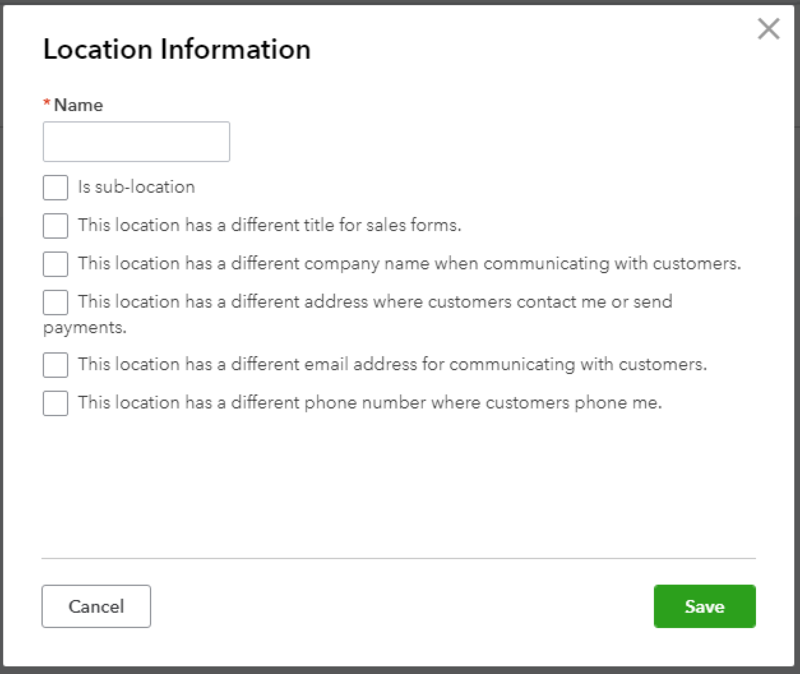 How do I add a new location in QuickBooks Online? Location tracking is used to categorize data from different locations, offices, regions, outlets, or departments of the same company. This field is not necessary, but enabling Location tracking and using location will allow you to run more detailed reports for each location. Before you can setup location, you have to enable location tracking. You can follow our guide below once you've enabled location tracking. Click on the Gear Icon on the top right corner of the website once you're logged into QuickBooks Online. Then click on Advanced > Track locations. Turn it to On. A quick way to add a new location is to create a new invoice and type in the the new location name. Simply click on add new location. If you want to add more details to your location or you want to edit locations, you may do so under the Gear icon. Click on the Gear icon > All Lists. Click on Locations to continue to the Locations screen. Click on the "New" button to add your new location. Next, fill out the required information and any other options you want. Click on the "Save" button when you are done.